Stylish coasters are not only practical, they are popular wedding favours guests like to receive. A great keepsake, they will also add to your table decor, and will help setting the mood of your reception. Find the perfect coaster that will match the style of your event! 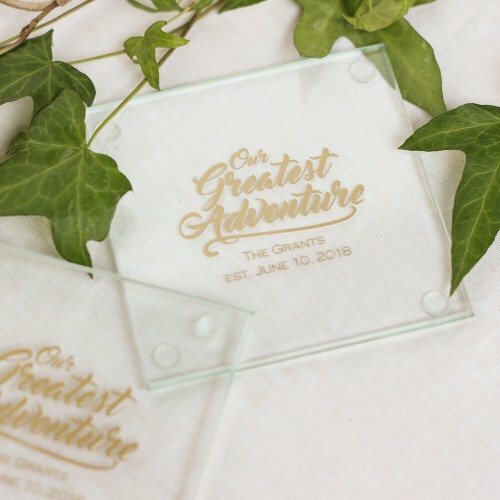 For the best in coaster wedding favours - here are our favourites! 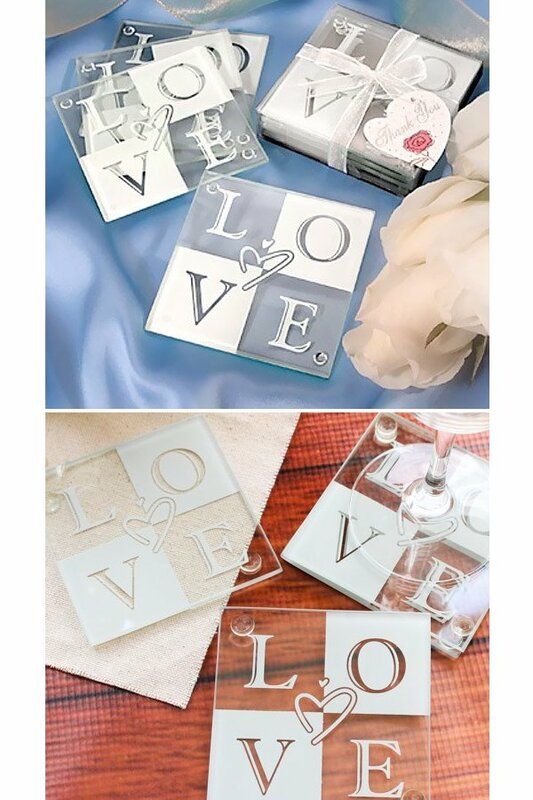 These multifunctional coasters are a great way to display your new monogram or share something meaningful with guests. 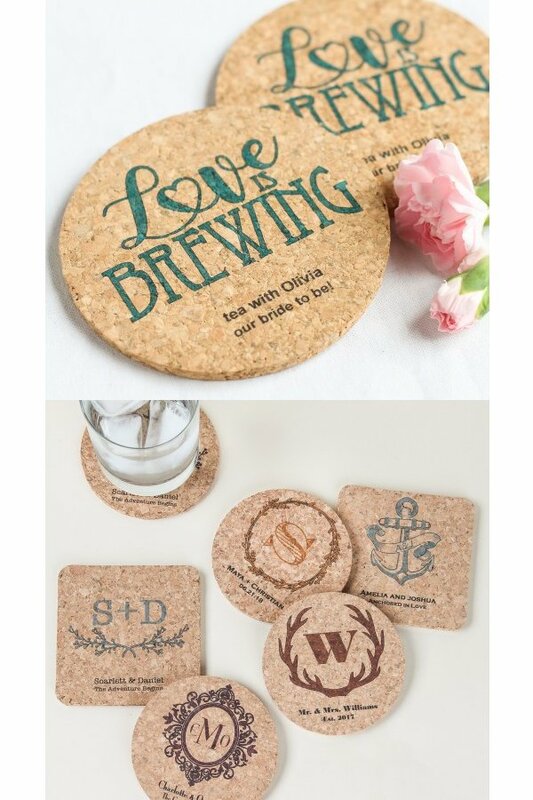 These 100% all natural cork coasters are decorated in your choice of design and message. Hand out as favours or use at your event! 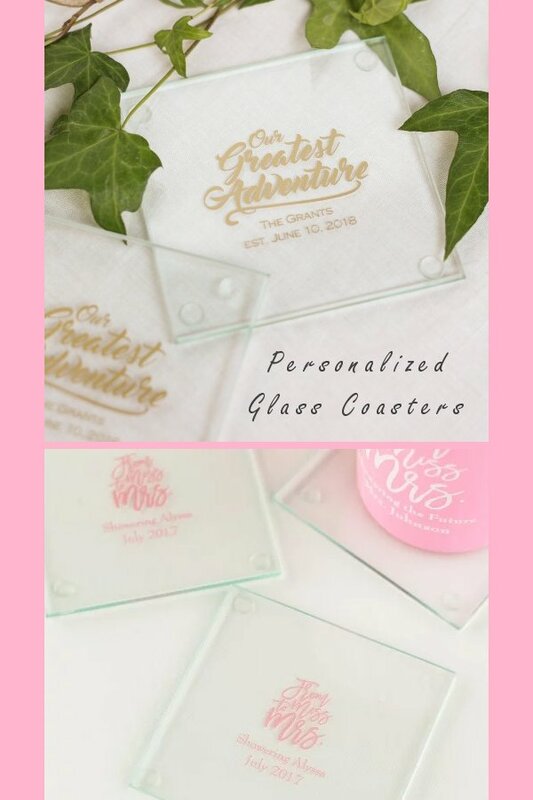 These quality, glass coasters are practical wedding, bridal shower and anniversary party favours that even the most discerning guest will appreciate. 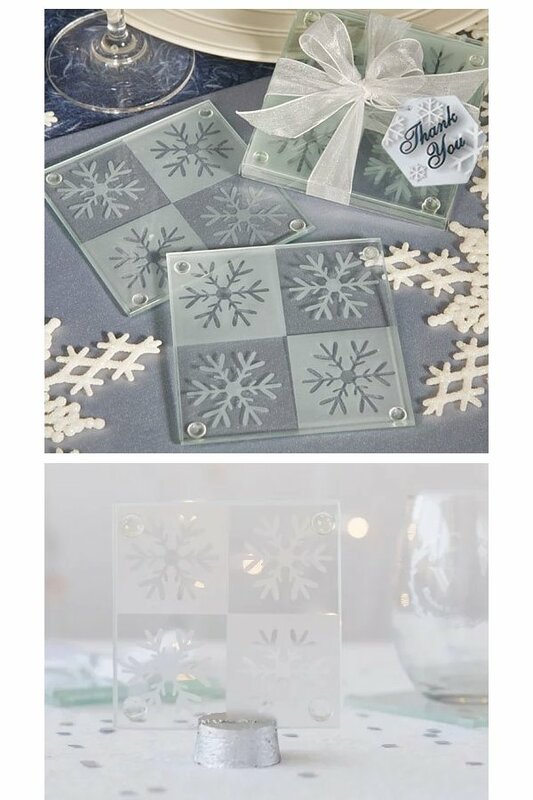 Add a wintery touch to your winter wedding with these gorgeous snowflake-themed coasters. 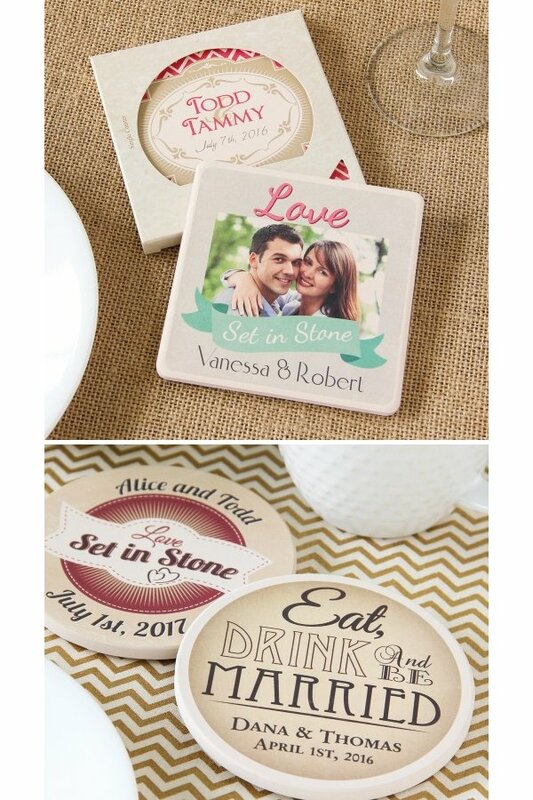 Coasters come gift-wrapped in sets of two making them elegant wedding favours. 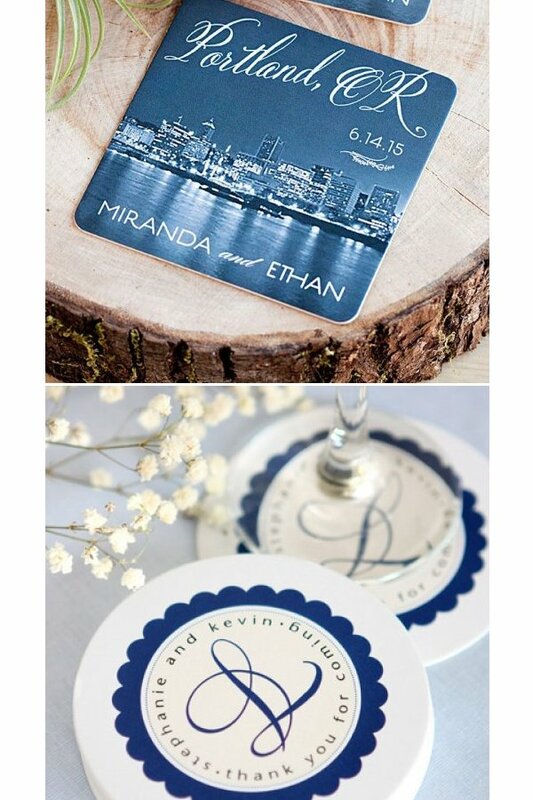 Each personalized wedding coaster is cut from heavy cardboard and printed with your names and date, or perhaps a personal message to your guests. This highly absorbent coaster features your selected coaster shape, decorative design, and customized note. Use during the event to protect tabletops or hand out as memorable favours to guests. Looking for natural, eco-friendly favours? You're in luck. 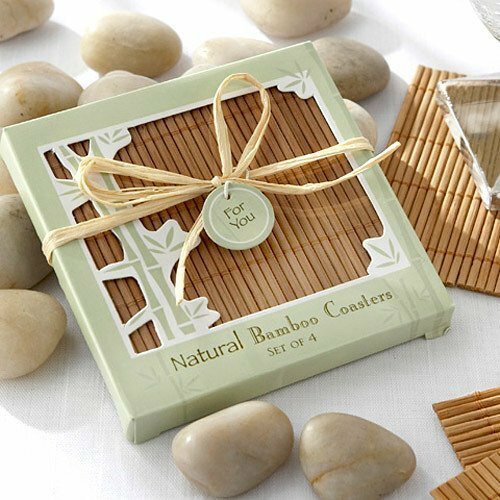 Give the gift of lucky bamboo with these eco-friendly natural bamboo coaster favours. 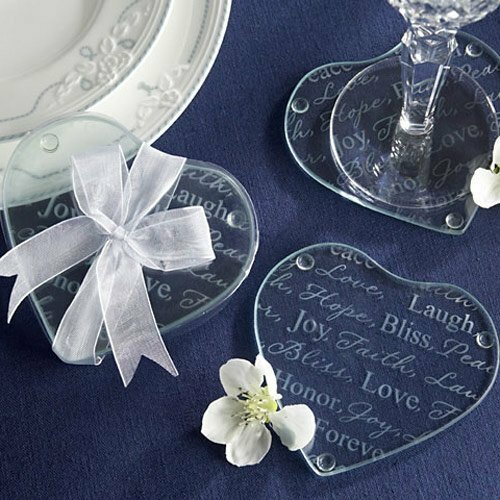 Remind your guests of your love with these good wishes heart glass coasters. Each charming coaster has words such as "joy," "hope," "faith," "bliss," "honor," "forever" and "love" to best describe your wedding day. 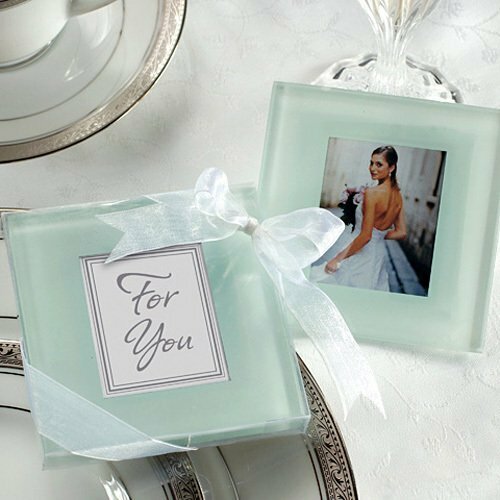 These frosted glass photo coasters fit in with any theme, and make great guest favors they will love taking home and using for years to come. Each coaster is made of glass and has padded stoppers on the bottom to help protect table tops. It's a coaster, a picture frame, a favour, and table decoration. This item does it all! 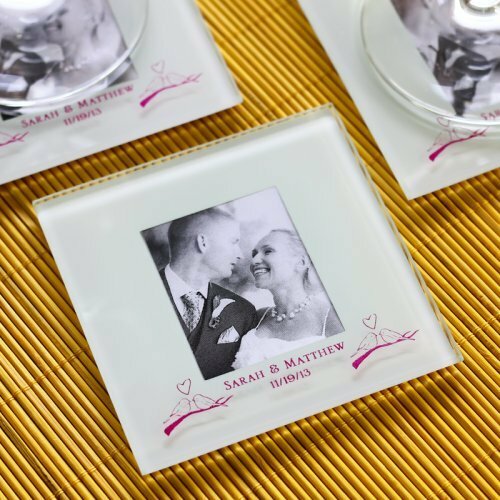 Here are just a few ideas for incorporating the glass photo coasters into your next event.